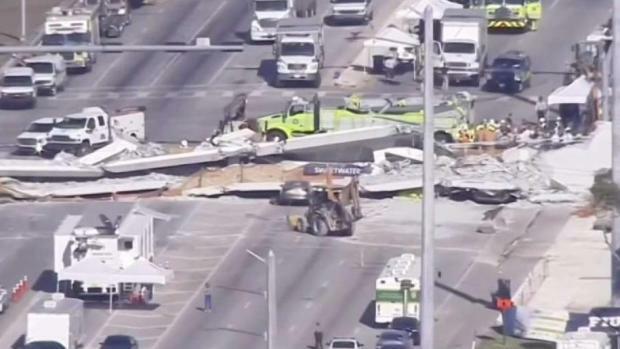 A contractor who is responsible for the FIU bridge is seeking bankruptcy protection. The contractor that built a pedestrian bridge that collapsed and killed six people last year in Miami is filing for bankruptcy protection. Miami-based Munilla Construction Management said in a press release on Saturday the Chapter 11 filing was not an attempt to escape responsibility that might arise for the March 15 collapse. It said the company plans to resolve the claims as part of the debt restructuring process. 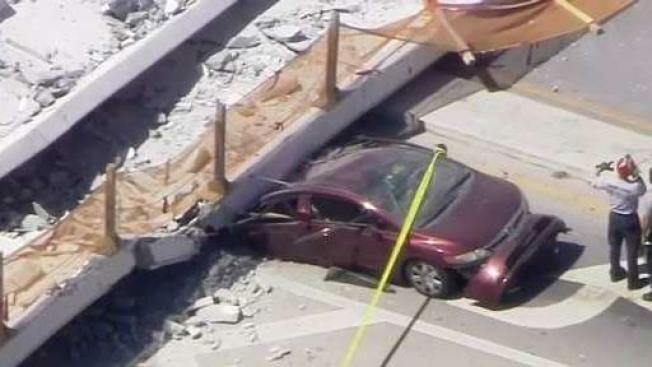 The investigation into the bridge collapse continues, but a report released in November found design flaws that overestimated the strength of a critical section in the Florida International University bridge. Cracks were documented in the weeks before the collapse, but investigators have not blamed those errors for the collapse. The company is being sued by survivors and victims' families. Photos included in a report released from the National Transportation Safety Board show large cracks in the FIU bridge. NBC 6's Tony Pipitone reports. MCM won the $14.2 million contract to build a pedestrian walkway that would connect the FIU campus to the city of Sweetwater, where many students live. The company has a long history of working on large-scale government contracts in Florida and across the U.S., and it has been a prolific donor to local and federal politicians, according to the Miami Herald.